Hey everyone, I'm overhauling the description here. Also, I've restored the deck to it's original incarnation, with a couple changes for the new cards. Hopefully in a couple months I will have a full primer here. But....the person in Oklahoma grandprix ran 3 colors, why not just cut out the Bojuka Brigand and Jwari Shapeshifter? Don't you think you're being a little greedy with the 5 colors? I'm here to say that 5 colors isn't as hard to accomplish, especially in a tribal deck. Cavern of Souls provides any color and now, it is much easier for allies with the Ally Encampment . The 4 fetchlands can provide access to any color. Even before then, you could put in a City of Brass or a Mana Confluence to help with the curve. So basically, 5 colors isn't a problem. 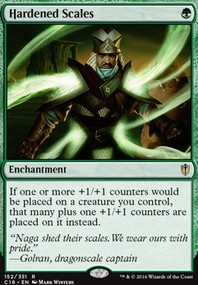 I was also the first people to do well in a Magic Online daily and the first, that I know of, to use hardened scales with allies. So, at the very same tourney I went to, a dude placed 10th, and I placed like....41st? I went 5-3. After looking at his deck and other people's decks I've realized that I need 22 lands if I want to keep COCO, and that 4 caverns and 4 ally encampments was making it really hard on the scales and coco. So, I have changed the deck accordingly. I'm currently working on another, pretty killer (in my opinion), ally deck. I'll update the Kamikaze Allies soon :-).